Do you have ideas about how to improve Metro? Now’s your chance to talk. 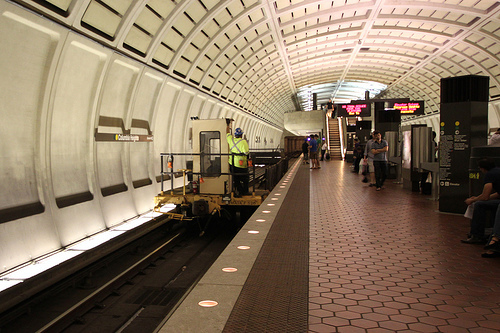 On Thursday, July 1, a joint task force run by the Metropolitan Washington Council of Governments (COG) and the Greater Washington Board of Trade has invited the public to voice ideas about how to improve Metro. The task force first met on June 11 but did not allow public participation. However, they quickly scheduled a public meeting for July 1, seeking stakeholders’ input about “critical governance issues” and best practices for the Washington area. Metro riders have voiced frustration about service lately. Now is a good time to help think of potential solutions! Details: The meeting will take place on Thursday, July 1, from 9:00 a.m. – 11:30 a.m. at the COG offices, 777 N. Capitol St. NE. You can sign up to speak by calling 202-962-3220. You can also submit written comments here.